This printing is a page-for-page photographic enlargement of the typeset pages of our standard CONCORDANT LITERAL NEW TESTAMENT, reproduced on 8-1/2×11 inch sheets. 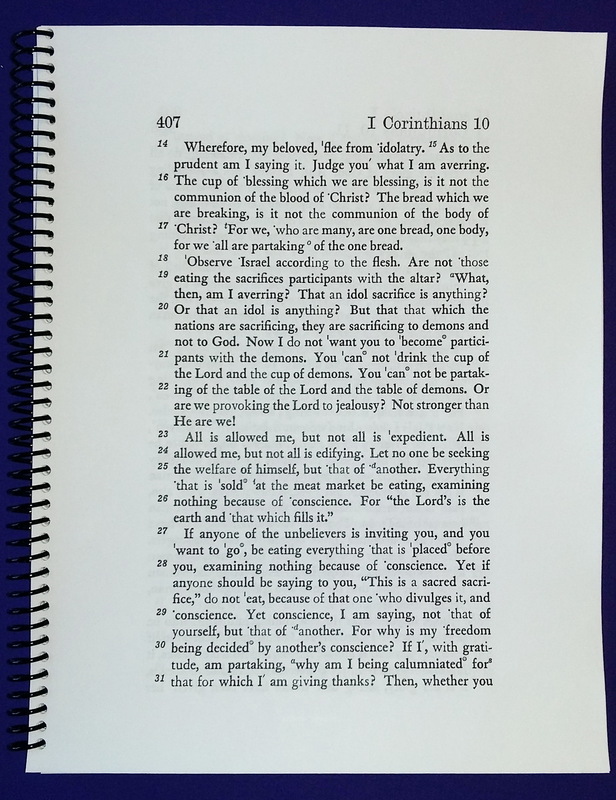 Wide margins are afforded for notes. 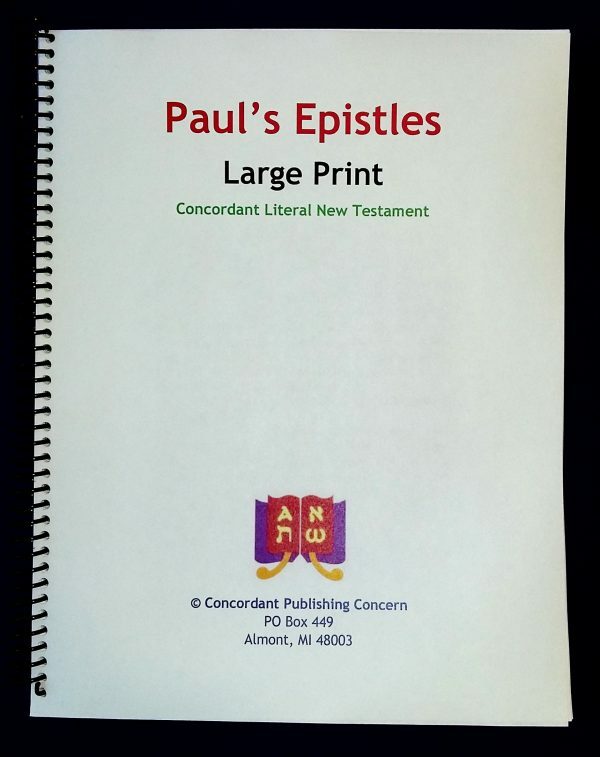 This edition is useful not only for partially sighted readers but as well for those wishing to have study sheets of Paul’s epistles available for notebook use.